Els passats 25 i 26 de novembre, l’obra de teatre “Prime Time”, escrita i interpretada per Núria Casado Gual, membre de SIforAGE, va tornar a pujar a l’escenari gràcies al Teatre Municipal de l’Escorxador de Lleida, on s’hi van presentar tres funcions amb les entrades exhaurides. “Prime Time”, protagonitzada per la co-fundadora del Teatre Lliure, Imma Colomer, és una comèdia àcida sobre l’envelliment en el món de l’espectacle i sobre què significa fer-se gran en la societat actual. Estrenada el passat 21 d’octubre al centre cultural CaixaForum, durant el Simposi de Finalització de Projecte de la Conferència Internacional SIforAGE 2016, l’obra de Nurosfera té un llarg i prosper camí per endavant, sempre amb l’objectiu d’obrir els ulls al públic i promocionar un envelliment actiu i saludable. Past 25th and 26th, the theatre play “Prime Time”, written by and starring Núria Casado Gual, SIforAGE member, returned to the stage thanks to the Teatre Municipal de l’Escorxador of Lleida, Spain, where three performances were presented with tickets sold out. 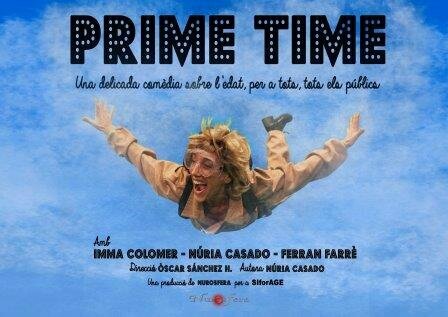 “Prime Time”, starring Teatre Lliure’s cofounder, Imma Colomer, is an acid comedy about ageing in the show business and about what means nowadays to grow old. Released on the past 21st of October at the cultural centre CaiaxForum, during the End-of-Project Symposium of the SIforAGE International Conference 2016, the play by Nurosfera has a long and prosper road towards, always with the goal of opening the eyes of the audience and to promote and active and healthy ageing. The SIforAGE International Conference 2016 may have already passed, but the SIforAGE Project has not ended with it. Since this afternoon, we have made available our White Paper in our Publications section for you to read it. Even though the official release date is not until the 15th of December, the document is now available in a digital format in English and will be available in more languages on the 15th of November. 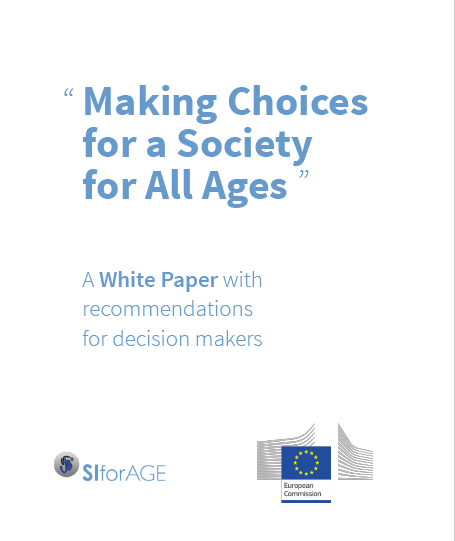 The White Paper, entitled “Making Choices for a Society for All Ages” aims at summarizing and concluding what has been done during those four years working for an Active and Healthy Ageing. Written by Dirk Jarré and Elena Urdaneta, and with a preface by Dr. Parminder Raina, the White Paper makes some important recommendations for decision makers, taking into account what has been learnt. More information about the White Paper and its publication will be given during these next months, but for now you can read it here. 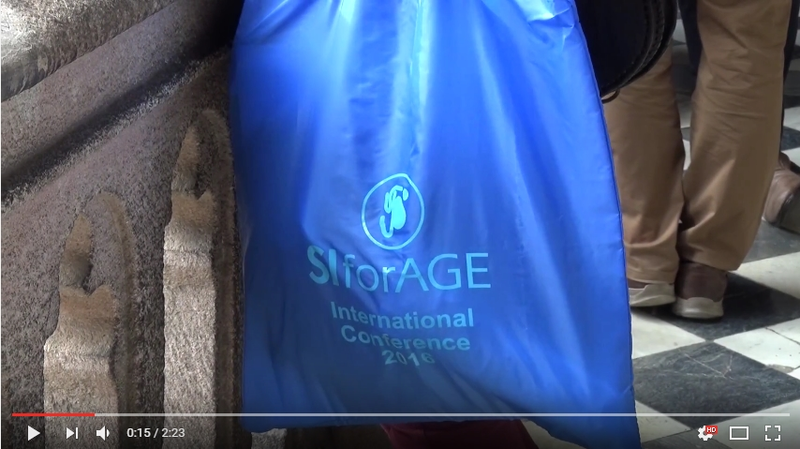 SIforAGE has started November by publishing a new summary video of the SIforAGE International Conference 2016, which took place in Barcelona on the 19th, 20th and 21st of October. The video aims at showing, in a dynamic and entertaining manner, what was done during the three-day event organized by the Project SIforAGE. Apart from that video, available since the 1st of November, SIforAGE will make available more videos of the Conference: extracts of four of the five lectures addressed by the keynote speakers, the SIforAGE results presentations or every activity which took place on the End-of-Project Symposium at the CaixaForum Barcelona. Stay tuned to our social networks and the upcoming banner of the website, as every Monday and Friday we will be publishing a new material. If you missed any part of the SIforAGE International Conference 2016, this is your chance to be part of it! 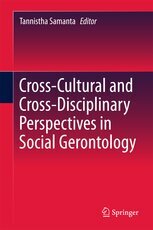 In a joint publication called "Social Psychology & Gerontology: integrating theory to explain and intervene in age discrimination towards older people in Europe", Sibila Marques, SIforAGE partner from Lisbon Univeristy Institute, Christin-MelanieVauclair, Hannah J Swift, Christopher Bratt, Maria Luísa Lima, & Dominic Abrams, discuss how integrating Social Psychology with Gerontology theorizing may contribute to the design of proper research and interventions dealing with this pressing social issue. As the abstract explains: "we present two case studies based on our findings from the “Experiences and expressions of ageism” module of the European Social Survey. Case 1 shows how the perception of age discrimination by older people mediates and helps to explain the effects of wealth inequality on older people’s subjective health. Case 2 presents compelling evidence showing that, among older people, identifying with being an older person is associated with poor health outcomes, especially in countries where older people’s status is lower. These findings are discussed in light of their implications for theory and practical intervention in this domain." SIforAGE partner Lisbon University Institute has published a new article on the Journal of Intergenerational Relations las august. The authors, Joana Mendonça, João Mariano, and Sibila Marques explain the study developed: a Lisbon street campaign against ageism. Briefly, the main aim of this new brand campaign called "increasing the positive image of older people" was to deconstructing negative steriotypes of ageing. Ageism is the terms used to describe discrimination based on age, this is, discrimination towards older people based merely on their age. Another partner of SIforAGE, Santa Casa da Misericordia, took part in the campaign. With the aim to create a society for all ages, this public campaign took place in Lisbon. Its message was to raise awareness on that reality and change people's attitudes and image towards older persons. The campaign echoed similar activities held in UK and Ireland. The posters were design by the Higher School of Communication and Media Studies. The main messages were: "Age changes. Not the fun." "Age changes. Not the talent." "Age changes. Not the affection." The campaign received generally positive comments through the social networks, from individuals of different ages and occupations, from researchers to professional care givers. The full article is available at the publications section of this website.